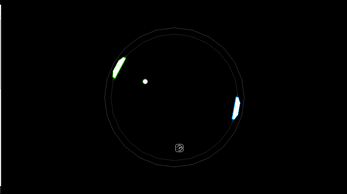 This is pong in a circle where both players share one controller. Four players are not supported yet. There are powerups for ballspeed, more balls and more cars on your train. You can gain a powerup by hitting it with the ball. The arena size gets bigger with each round and the ball gets quicker. This game was programmed in GameMaker Studio.